And so hard to beat! This little gem at the end of a quiet family friendly cul-de-sac is beautifully presented, low maintenance and offers an easy-care lifestyle in a very handy location. 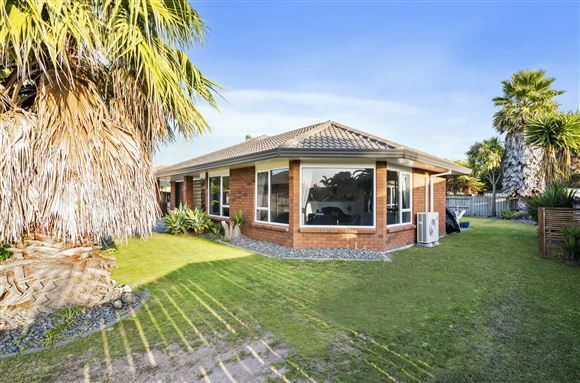 Featuring sunny open plan living areas with fantastic indoor/outdoor flow and a lovely outlook to the street, three double bedrooms, two bathrooms, double garaging and boat parking. If it ticks all your boxes on your wish list then you better be quick! Call now! Auction (unless sold prior) - To be held at Harcourts Auction Rooms, 1 Third Avenue, Tauranga on Thursday 2nd June 2016 at 1:30pm.